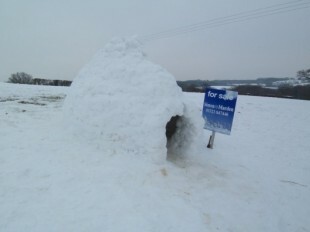 Of all the rightmove houses we found this…..
I’ve seen advertised, this one must take the best award. Not only the cheapest but also the most likely to disappear with global warming. 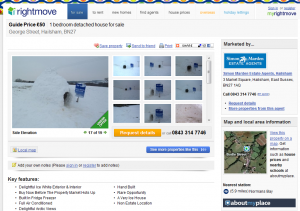 It actually was put on the rightmove.co.uk site as a house under offer as you can see from the pictures. The site had internal shots as well as plenty of outside views. 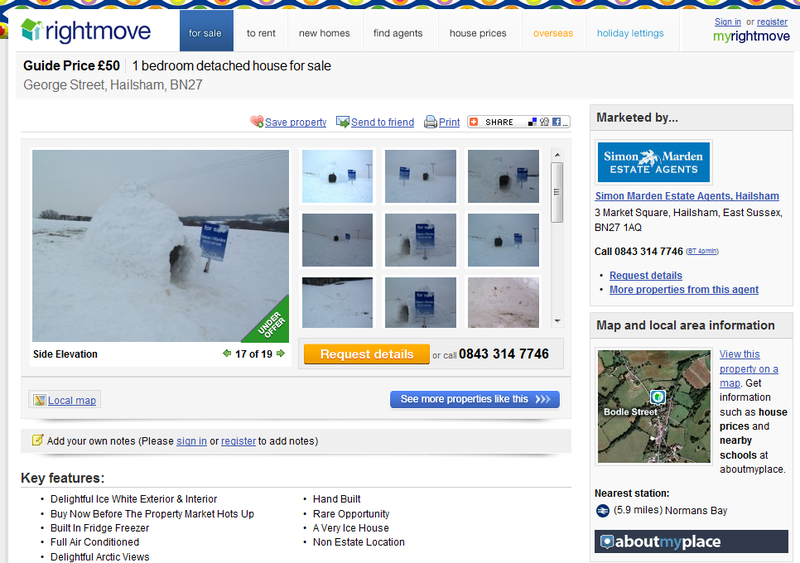 It asks punters to buy the house now, before the property market hots up! 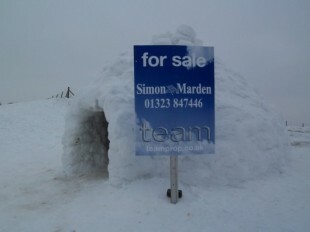 Most one bedroom detached houses are fetching anything from £100,000 where as this has an asking price of £50. 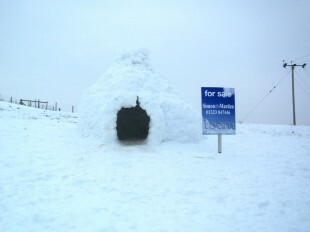 The igloo house was also featured on ebay and was still taking bids last time i looked. The property was constucted by local builders Marden, Morgan, Titmuss & Ellis! The property was developed in Farmer Trunkfields field in the heart of Bodle Street Green. There is currently an application for planning permission going through but we are waiting to hear back from local man Jack Frost !!! BUY NOW BEFORE THE PROPERTY MARKET HOTS UP !!! 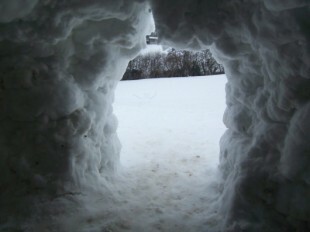 The house was built from fresh, crisp white sussex snow. It stands approx. 5’10” in height with one entrance.